By 1935, Hitler had suppressed all internal opposition and established himself as Germany’s unchallenged dictator. Yet many Americans remained largely indifferent as he turned his dangerous ambitions abroad. Not William Bailey. Just days after violent anti-Semitic riots had broken out in Berlin, the SS Bremen, the flagship of Hitler’s commercial armada, was welcomed into New York Harbor. 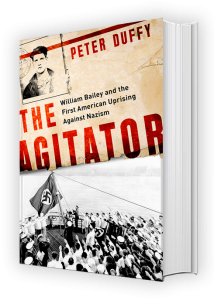 Bailey led a small group that slipped past security and cut down the Nazi flag from the boat in the middle of a lavish party. 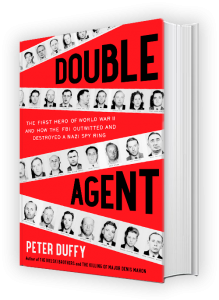 In 1941, three brothers witnessed their parents and two other siblingsbeing led away to their eventual murders. It was a grim scene that would,of course, be repeated endlessly throughout the war. 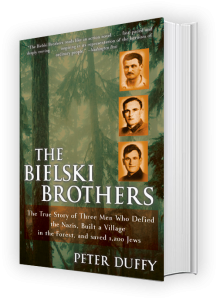 Instead of running orgiving in to despair, these brothers — Tuvia, Zus, and Asael Bielski — foughtback, waging a guerrilla war of wits against the Nazis. 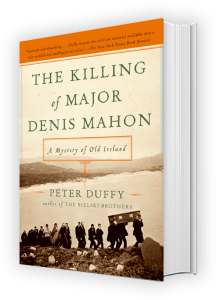 At the height of the Irish Famine, now considered the greatest social disaster to strike nineteenth-century Europe, Anglo-Irish landlord Major Denis Mahon was assassinated as he drove his carriage through his property in County Roscommon. Mahon had already removed 3,000 of his 12,000 starving tenants by offering some passage to America aboard disease-ridden “coffin ships,” giving others a pound or two to leave peaceably, and sending the sheriff to evict the rest.